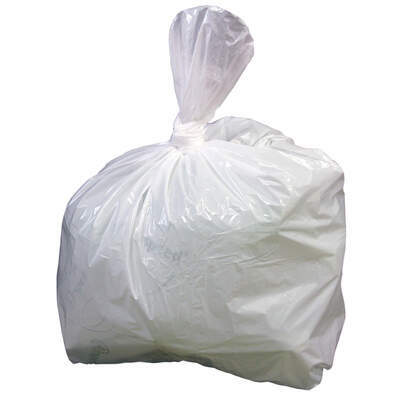 These Swing Bin Liners have been manufactured for use in both domestic and professional environments. Each one uses a 6 microns thick material which can successfully hold paper and weightier refuse with long handles that are ideal for securing the contents effectively. The transparent design allows for easy visual identification of the internal material making them ideal for recycling purposes. They offer a large capacity of 115 litres and come in a bundle of 100 for easy distribution.